Josiah Henshaw, age 59, born in Massachusetts; farmer; $5000 real estate. Elizabeth Henshaw, age 60, born in New Hampshire. Eli F. Henshaw, age 32, born in Massachusetts; farmer. Martha Henshaw, age 23, born in Massachusetts. Sarah Henshaw, age 21, born in Massachusetts. Daniel O. Dane, age 16, born in Massachusetts; laborer; attended school. John Crockfiel.. [unclear], age 22, born in Massachusetts; laborer. 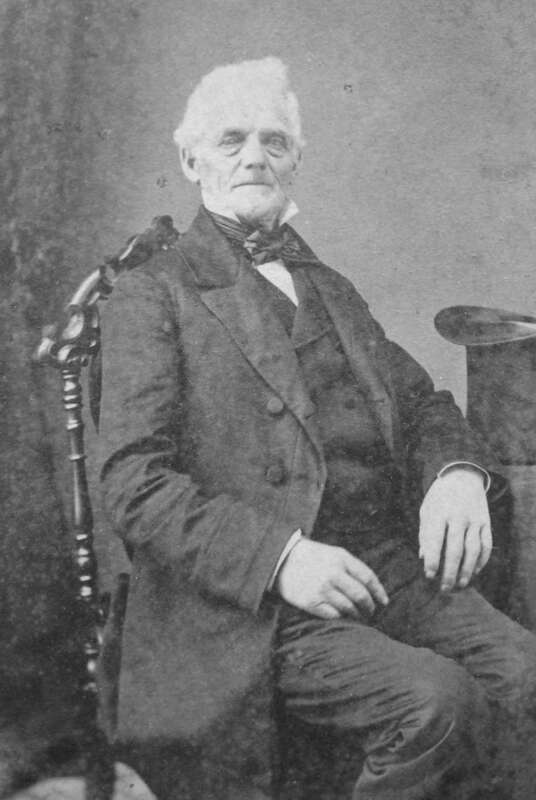 Henshaw, Josiah, age 78, born in Massachusetts; farmer. Henshaw, Fanny C.M., age 75, born in Massachusetts; "keeping house". 1850 census, Leicester, Worcester County, Massachusetts; roll 341, page 80, dwelling #143. 1899, Boston, MA, Damrell & Upham publishers. Vital records of Brookfield, MA. 1870 census, West Brookfield, Worcester County, Massachusetts; page 384B (sheet 40), line #29, dwelling #282, family #344. Worcester, Massachusetts City Directory, 1867; http://www.ancestry.com. 1870 census, West Brookfield, Worcester County, Massachusetts; page 384B (sheet 40), line #31, dwelling #282, family #345. Worcester County, Massachusetts, Probate Index, Vol. 1 & 2, July 1731-1881; http://www.ancestry.com.